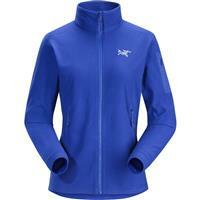 Maximize your outdoor fun with the Arc’teryx Delta LT Jacket for women. Whether you’re a female athlete searching for the perfect microfleece jacket to complement your performance or just love the sporty design and slim, attractive fit, the Delta LT makes the ideal option. The light insulation means you’ll stay warm as the temperature begins to drop, but you can also wear it under a shell as a lightweight midlayer. The Delta LT was specifically designed to enhance ergonomic freedom. It features a nonlocking full front zipper, which you can unzip with one hand if you need to cool down quickly. Meanwhile, the sleeves are expertly designed to allow for extended reach while not riding up when your arms are bent. Simplicity and functionality is the name of the game with the Delta LT. The high collar allows your neck to remain warm, whether you wear it alone or under layers. Plus, you can easily stow small items in the two hand pockets or the low-profile sleeve pocket. Note: Don’t use fabric softener. Years ago this jacket was my first Arc'teryx purchase. I wore it every cold morning over my workout wear. After downsizing my body, it was time to order a smaller size. This jacket is just as perfect as it was years ago. It's soft, washes well, and most importantly, has zippered pockets. I only wish it came in a nice fire engine red. This jacket is a great mid layer. It's lightweight and cozy. the colors are wonderful. Runs a little small and short, but overall a great choice. 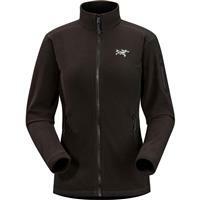 This jacket in the ARC'TERYX Essentials collection is a life style piece.... wear it anywhere.... anytime. I use this fleece year round as a jacket and as a layering piece under a shell. This microfleece jacket can be worn 2 ways. 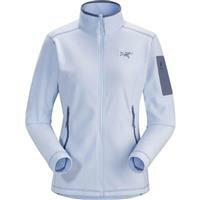 It can be worn as a midlayer or as a standalone jacket in cool weather. Allowing you to wear this jacket for multiple seasons.